Editor’s Note: This article first appeared on the StatusQuota blog here. The world is full of uncertainty. It is hard to make decisions when hundreds of factors determine success or failure. So it’s no surprise that humans have sought the aid of fortune tellers for thousands of years. 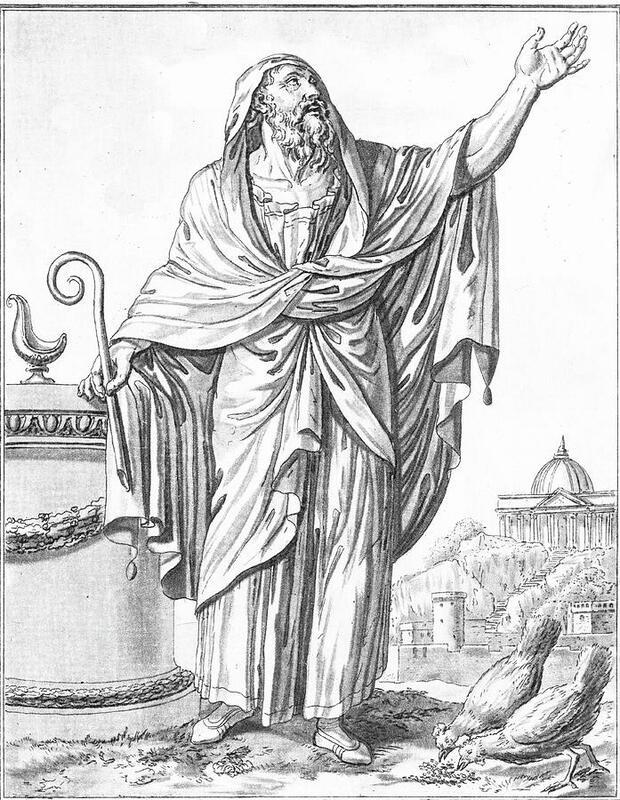 The Ancient Romans relied on augurs. These were priests who determined the right actions by examining bird entrails (yuck). If that’s not your thing, you can get your questions answered by a psychic hotline instead. Or if you’re trying to guess who will win the World Cup, there’s an octopus who has you covered. Predicting the future is also vital when running a subscription business. Your success depends on keeping customers satisfied so they renew year after year. When customers cancel early, your business loses out on tons of future revenue & growth. But there’s an important wrinkle here. Knowing which customers will leave is helpful. But it is of limited value. You can’t act on that information, aside from choosing not to spend further time & energy on them. You can write them off, but you aren’t taking action. What is much more helpful for a subscription business is to know which customers MIGHT leave. This is where you can create real impact. These are customers on the cusp. They are at-risk, sure. But there are definitely things your team can do to ensure the customer sticks around. But predicting which customers might leave is hard to do. If it were easy, everyone would be doing it already, and customer churn would be tiny. How well does your business predict at-risk customers today? If you’re like most other companies, you have a LOT of room for improvement. Today, we’ll cover what you need to do to create an accurate churn prediction tool. We’ll begin with identifying the data you need to use to feed a good prediction tool. Then we will discuss how to ensure the prediction tool provides an output that helps you take action. 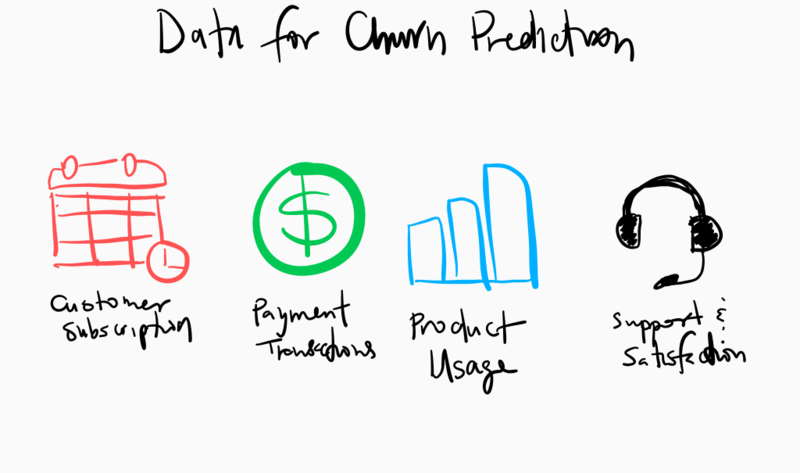 The first thing to consider when creating a customer churn prediction tool is the data. You are better able to spot warning signs of churn when you have a lot of signals to track. Subscription data are critical for any churn predictor. The subscription records will help you figure out who has churned in the first place. That information is needed to determine who will churn in the future. You may be able to spot some patterns using this data alone. Payment transactions are another important source of churn insights. You’ll want to be on the lookout for late payment activity and expired credit card details. Both suggest involuntary churn risk that you will need to address with a delinquent payment process. Product data will be your biggest goldmine for churn and retention insights. Product usage reveals whether a customer is getting value from your solution. Do you have engaged power users that are in love with your solution? Or are you seeing infrequent login activity and general disengagement? When your customers speak to you, do you listen? You need to have your finger on the pulse of the entire customer experience. Product insights won’t capture that. Instead, you’ll need to talk to your customers and hear from them how things are going. That’s why regular checks on Net Promoter Scores (NPS) and Customer Satisfaction (CSAT) are a must. The frequency and severity of service issues are also an important churn predictor. Customers frustrated by the product experience won’t want to stick around unless they have no choice. And in today’s hyper-competitive landscape, your customer always has another option. That covers the primary data sources needed to power a churn prediction. Now let’s switch gears and tackle the traits of an actionable prediction. 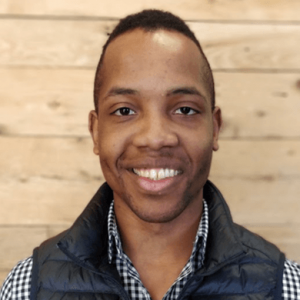 Once you have your customer data in one place, you’re ready for the fun part: predicting churners. If you have limited analytical support, this may be as simple as dumping all the information into a spreadsheet and looking for patterns. If your customer base is small (a few hundred) and your product simple, this can be pretty effective. If you have thousands (or millions) of customers and many product features, spreadsheets won’t cut it. You’ll need to bring out the big guns. Data science models can help you make sense of huge customer datasets. No one would claim to have perfect eyesight if they could only see “perfectly” things right in front of their face. The same holds true for a predictive model. If you can’t predict churn well before it happens, you have a worthless model. 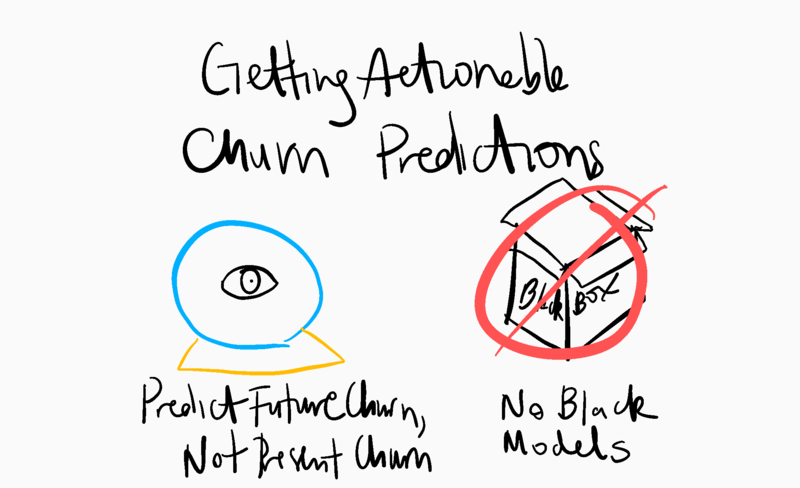 A churn prediction should empower your team to take action. That requires they have time to respond to the prediction made. Knowing an annual contract has big churn risk 4 months before renewal is much more helpful than 4 days prior. That’s the difference between proactive response and reactive scrambling. Talk with your customer success team to gather their stories on recent account saves. If turning around at-risk customer accounts requires many months of work, your model should reflect that. The only thing worse than a model that can’t actually predict future churn is one that no one understands. A “black box” model that doesn’t explain why an account is at-risk is worthless. A good churn prediction model provides a clear explanation of account risk factors. By providing well-defined risks, the right team members can take the appropriate responses. Predicting customer churn is a must for subscription businesses reliant on recurring revenue. Subscription, payment, product, and support data combine to provide a complete customer view. When building your predictive model, predict far enough in advance so your team can be proactive, not reactive. You also need to ensure your model isn’t a black box – make sure specific churn risks are identifiable so your team knows how to respond. Want to make the future less uncertain? Predictive models are your key to figuring out what comes next.